Tweetstats.com is a fantastic visualization tool that allows user to graph their Twitter statistics providing a valuable visual presentation. The primary goal is to understand and measure your effectiveness on Twitter if you are a marketer. Tweetstats.com allows users to view their own stats or that of another user. Load times for your analysis depends upon your level of activity (or that of your subject) on Twitter. 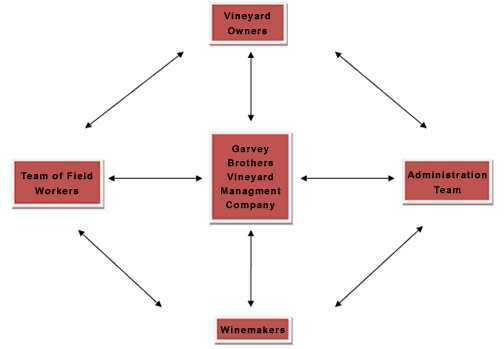 February 10, 2010, Napa Valley vineyard management company, Garvey Brothers, launched their first blog GarveyBrosVMC with the goal of providing an insiders view of the vineyard management industry and Napa Valley and Sonoma Valleys. Garvey Brothers Vineyard Management company was established in the spring of 1998 with a core value proposition in mind: “provide quality farming services to vineyards in the St. Helena and Rutherford Appellations” of Napa Valley. As a result of hard work, dedication, prayer and a little luck, Garvey Brothers VMC now manages 400 acres and provides consultation services for an additional 75 acres. Garvey Brothers VMC is a licensed and certified Farm Labor Contractor. This license not only provides protection for our vineyard owners in the form of a security bond, but also ensures that Garvey Brothers VMC is kept up to date on all new employment laws and regulations, providing additional value to our clientele. At Garvey Brothers Vineyard Management, the goal is to provide excellent service and to make a seamless connection between our Team of Field Workers, Vineyard Owners, Winemakers, Administration Team, and Management. While we strive for this “seamless connection” we are working with the utmost integrity and remaining fiscally minded- as we continue to produce premium wine grapes in both Napa and Sonoma Valleys. If you are lucky enough to have attended a Super Bowl then you understand the hype, media attention, and parties that surround that most American of events. In preparation for your Super Bowl experience, I have compiled a list of Twitter users that will be sure to keep you in the know, keep you laughing, and entertained. My top 5 Super Bowl Twitter user list. Have you ever dreamed of driving into your favorite sold out concert, sporting event, or major bash knowing you would have a front row primo parking space just waiting for you? 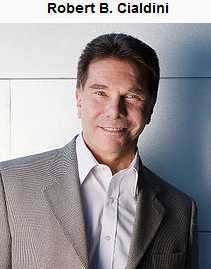 If you have the willingness to pay a premium, I have the service you have been waiting for all your life: ParkWhiz.com . The following is a description provided by ParkWhiz on how they can help you find the impossible parking spot. Get a guaranteed, reserved parking spot near hundreds of top destinations across the U.S. using ParkWhiz. ParkWhiz.com offers reserved parking for hundreds of locations across the US, including stadiums, theaters, and airports. When you find parking that meets your needs, you can reserve it immediately at the specified price. Click the button. Your parking is fully paid for – there are no extra fees or surcharges when you park. After you successfully purchase your parking space, you’ll instantly receive an electronic ticket for you to print at your convenience. Select locations also offer the option of using an e-ticket on your smart phone. When you arrive to park your car, present your ParkWhiz reservation receipt to the parking attendant who will show you to your parking spot. Your reserved spot is already paid for and waiting for you, so just park and be on your way! How Important is Influence Within Social Media? Liking: Ever bought something from someone you disliked? Every turned down someone you liked?